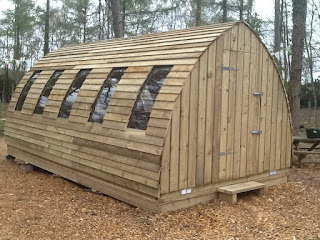 The National Trust, New Forest site have now completed the installation of their first Classroom Arc. 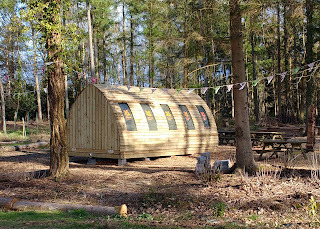 The Arc provides the only permanent shelter in an otherwise exposed heathland site. It will be used for class room study, be decorated with Foxbury interpretation (wildlife, management work etc.) shelter during wet/windy weather for our events programme and a place for our volunteers/staff to have a break in the winter months. 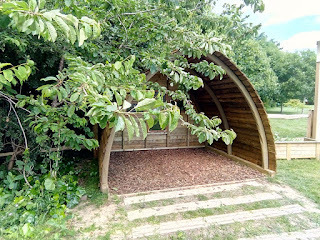 surrounding woodland, with wooden facing and a natural looking shape to the building – the Arc also mimics the shape of the dens children can build nearby. 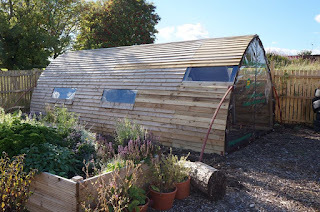 Secondly, the bespoke nature of the build means that the Arc could be made to meet our requirements easily, including electrics, lighting, branded window covers and secure walls. 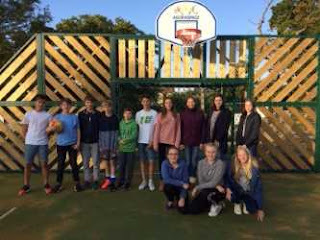 Lastly, we chose the Arc due to the fact that the National Trust, and other conservation charities, have used Alfresco Arch on numerous occasions with great success, so we knew we were in safe hands!" 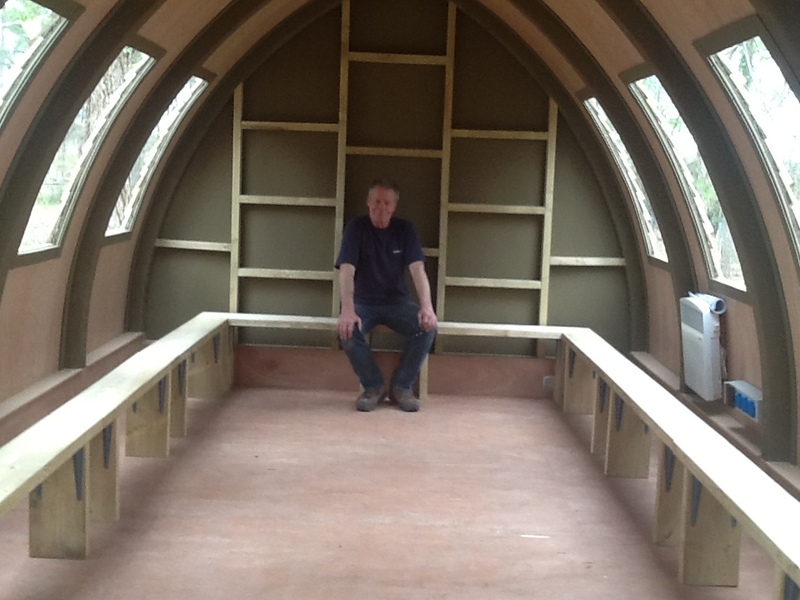 The Classroom Arc measures 6m long x 3.3m wide x 3m high from ground level. 20mm thick pine cladding provides beauty and strength, while the aerated foil insulation helps to provide a cosy environment in the arc. 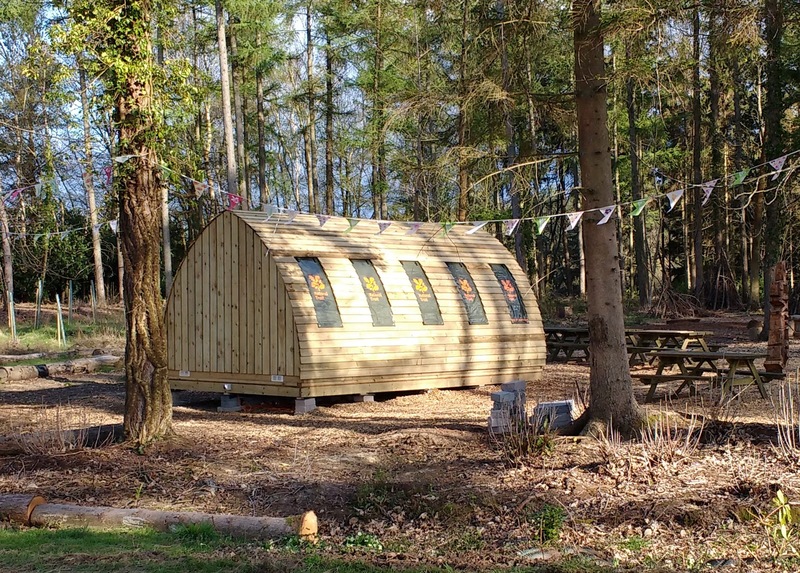 Ten curved roof windows flood the arc with natural light providing an ideal learning environment and workspace. The National Trust leaf emblem is featured on every insulated window blind, which can be branded as required. Inside the arc there sits ten wooden benches, providing ample seating space. For the winter months the arc comes equipped with efficient LED light strips which easily run off a solar panel or car battery. A panel heater can also be run via a generator or hook up to the mains. 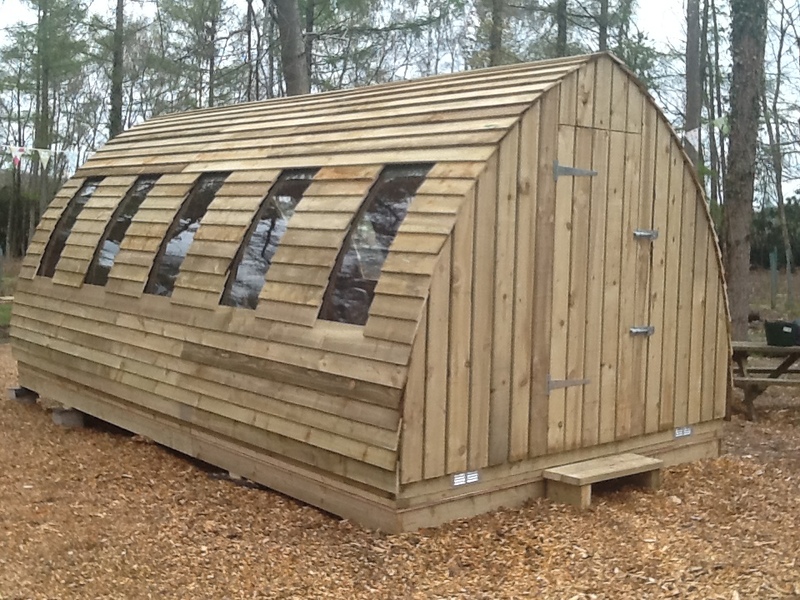 If you need a beautiful and hassle free work space outdoors, call Mark Panton on 07860 250 212 or find more details on the Classroom Arc on our website.